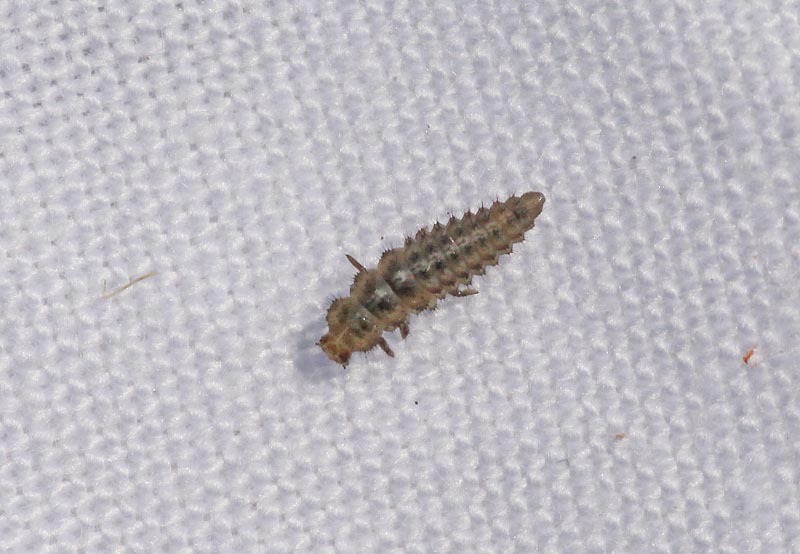 Length: 3mm. Background colour: beige. Pattern colour: black spots. Number of spots: 13-18 (16). 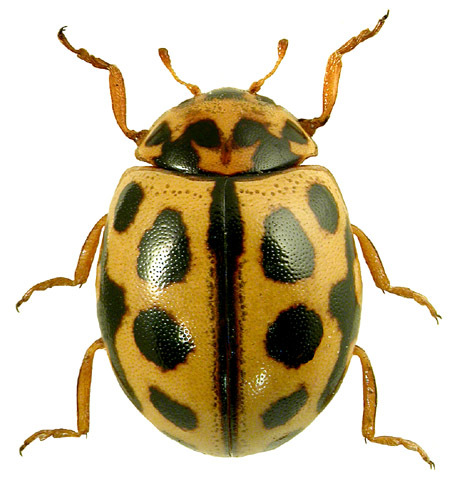 Spot fusions: common: the three lateral spots on each elytron are usually fused. Melanic (black) forms: rare. Pronotum: beige with black spots. Leg colour: brown. 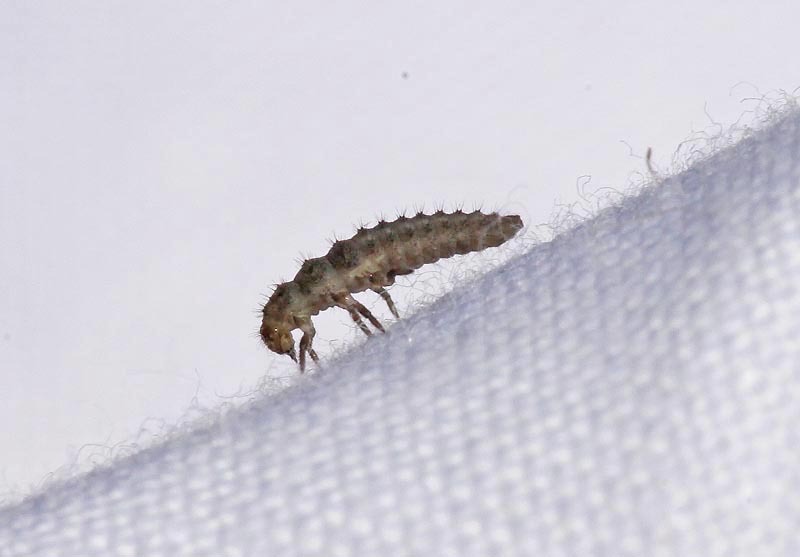 Fourth-instar larva: pale brown-grey with conspicuous long black hairs emanating from darker coloured tubercles. 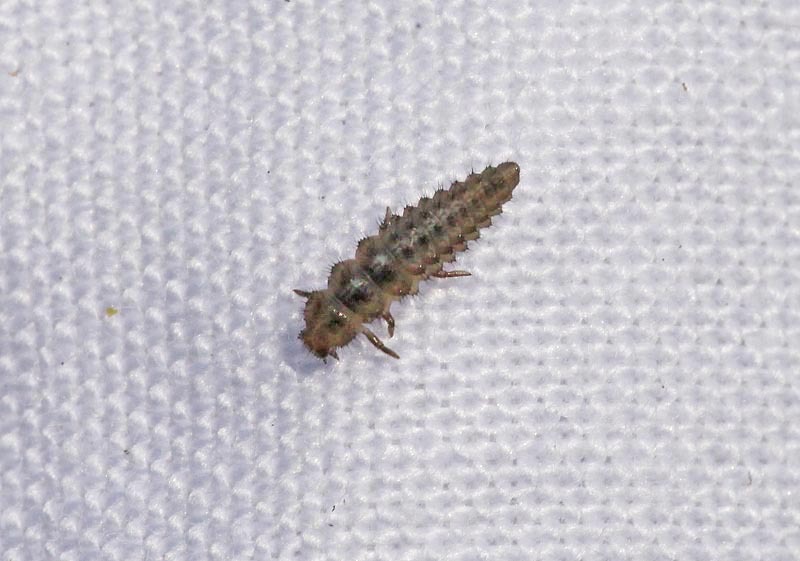 Pupa: pale yellowish brown with four rows of diffuse darker markings running longitudinally; remains of hairy fourth-instar larval skin visible at base. Habitats: 16-spot ladybirds are commonly found in grassland. There are also records from scrub, saltmarsh and dune systems. 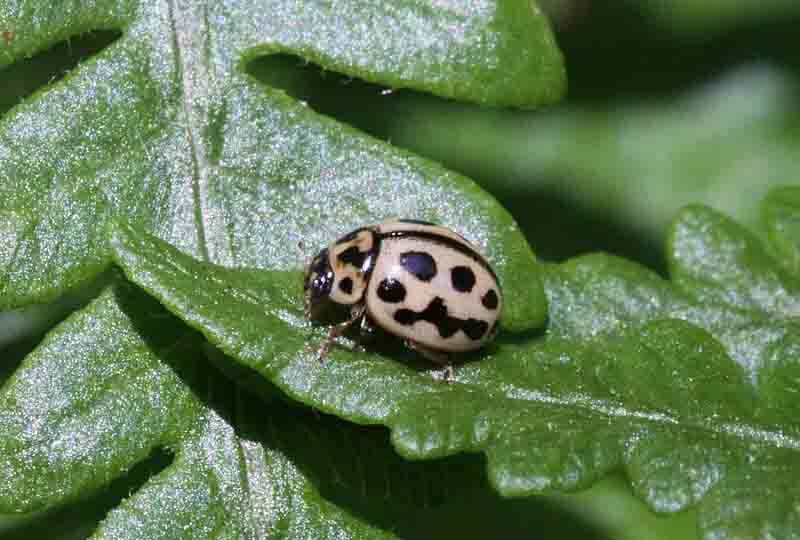 Host plants: Most 16-spot ladybird records are from grasses and other low plants, including reeds, nettle, dandelion, knapweed, hogweed, cow parsley and buttercup. This species has also been recorded from shrubs, including gorse, and from Scots pine. 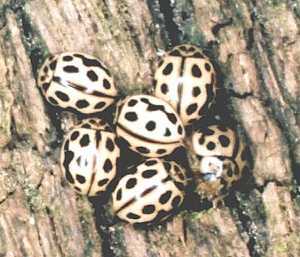 Overwintering site: 16-spot ladybirds overwinter in low herbage, on gorse, in plant litter, on logs, fence posts and stone walls, often in extremely large aggregations.